In popular culture, colors are portrayed to have the power to energize, anger and charm. They have even been used as indicators of personality traits. But what is their real impact on us? 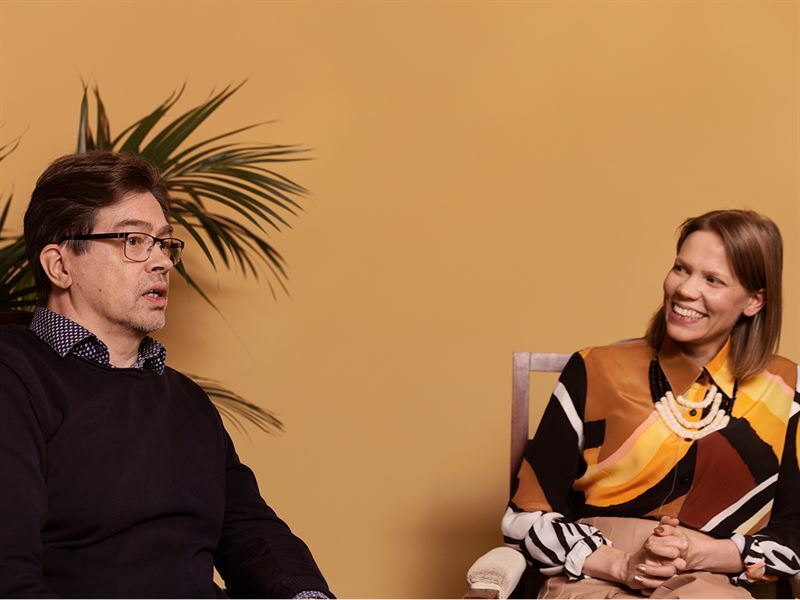 We meet Harald Arnkil, lecturer in color studies at Aalto University since 1990 and Irina Hanhisalo, Tikkurila’s color marketing manager, at the heart of Tikkurila, to discuss the importance of colors – and why sometimes a color can feel as real as a punch. 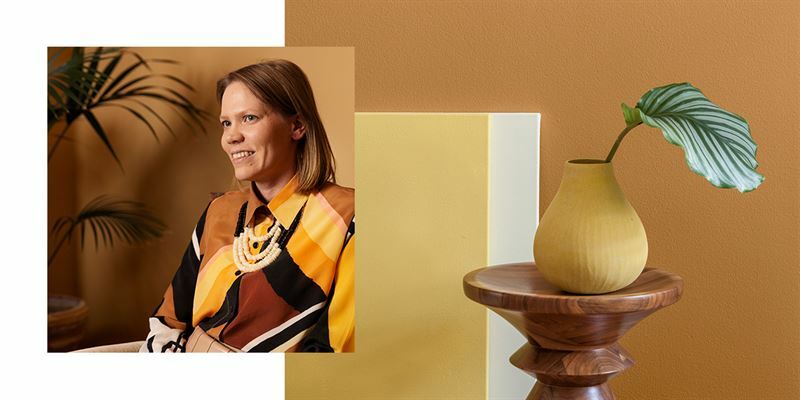 In this blog series, we venture into the world of color and meet specialists across the field to discuss sustainable surface treatments today and tomorrow, at home and abroad. Harald Arnkil: You started with the easiest question (laughs). Seeing color is quite complicated. Sight in itself is complicated; one of the most abstract of our senses. Our other senses have fairly direct consequences – when we for instance touch something, we immediately feel the material’s smoothness or coarseness, heat or cold. The same goes for taste. However, seeing color is always an exercise in interpretation. There’s nothing to interpret about a punch, but a color is always up for interpretation. Irina Hanhisalo: Exactly – but a color can definitely sometimes hit you like a punch! I’ve noticed that when people talk about colors in Finland, Tikkurila’s country of origin, the most prominent feeling is fear. People are a little afraid of colors and approach them shyly, which is unnecessary. Colors are a wonderful thing! Is it true that certain colors can make us more energetic, happy or sad? IH: At the end of the day, we all look at the world differently. We are all individuals and we see color in our own unique way. All in all, I think that we are slaves to our own thinking in color. It’s easy to make decisions that mirror something that has been done before. It’s far harder to break the mold and pick colors that are outside of your comfort zone. I’m endlessly interested in fashion and style and I’ve often wondered why people who wear the rainbow have difficulties in using color in their interiors. It is, after all, yet another way to express your style and your personality. HA: It’s very interesting – can a person dress colorfully yet want a very colorless home? Perhaps the conventions of interior design are far more conservative than the conventions of fashion. We don’t change our interiors four times a year, but we change our wardrobes much more often. IH: The level of commitment to a red blouse versus the level of commitment to a red wall is different, but they are both strong ways to build your identity. How can the power of colors be harnessed in urban planning? What about interior design? HA: Color can bring rhythm to a block of buildings and can have a major role in creating an identity for a place. It can be a way to refer to the neighbourhood’s past or present, create new meanings or bring a new kind of visuality into it. It is sometimes very tangible. I remember once walking around Munich, a town characterized by the use of light colors, especially yellows. It felt as if the sun had been shining, even though it was a cloudy day, all thanks to the colors of the city. 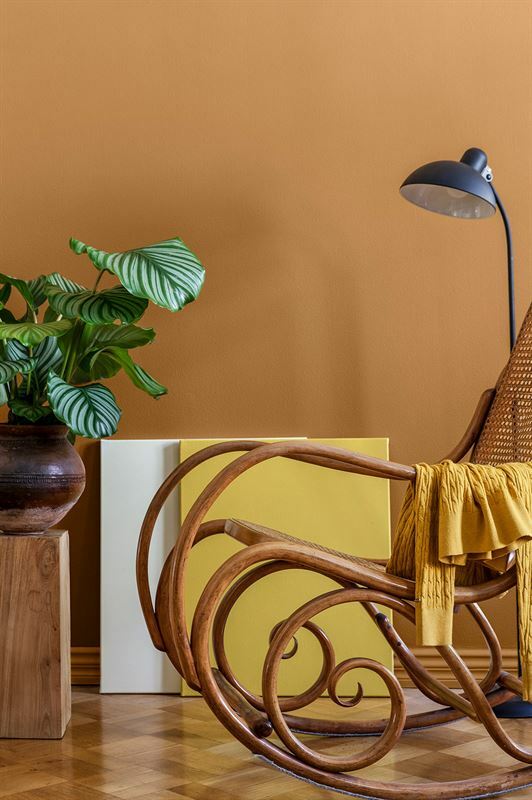 IH: Choosing indoor and outdoor colors is a similar process, although when you’re painting your own interiors you can be freer. I would love to see urban planning that borrows colors from its surroundings. Choosing a color that stands out from its surroundings is a statement that needs to have a strong explanation behind it. Finally, let’s look into the future. What kind of future would you like to see when it comes to color? HA: I would love to see boldness mixed with good taste. I don’t wish to see accents of color outdoors, unless there’s a good reason for them. We need to learn how colors coexist with each other and their environment both outdoors and indoors. When we are afraid of colors it usually means that we don’t feel like we’re in control of them. Once we learn to read colors, we are also able to use them confidently. IH: I would love to encourage people to look beyond color theories and trust their eyes and gut feeling. We all look at the world from our unique point of view. There is nothing to be afraid of – there are a lot of scary things in this world but color is not one of them! Observe your surroundings. Look at everything around you – what colors do you see? Although we sometimes think of dark or bright colors as unnatural, they can often be found from forests, fields and meadows – and they look completely natural! Dare to try new colors. Start small. Our eyes are surprisingly quick to adapt to new colors. Start by adding a little color to your life – you might soon notice that your surroundings have become more colorful than you think. Welcome disharmony. Disharmony isn’t always a bad thing. Try colors that you’re not immediately drawn to and mix and match without fear. The least harmonious combinations are often the most interesting ones!